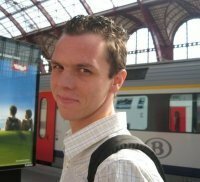 I’m Alexander Vanwynsberghe, living in Houthulst (Belgium), and graduated at the Katholieke Hogeschool Brugge-Oostende. I have several years of experience in various fields of software development and have actively used several technologies and frameworks. I have a decent knowledge of the Microsoft technology solution stack, and have a thorough understanding of enterprise application development and integration. My main focus currently lies in ALM (Application Lifecycle Management) and in the three pillars of ALM: People, Process and Tools. From a tools perspective, my expertise lies mainly on Team Foundation Server and Microsoft Test Manager. From a processes perspective, I’m particularly competent in testing processes and Agile methodologies like Scrum and Kanban. I’m also a big believer of heterogeneous development on Team Foundation Server, using Eclipse and other IDE’s. I’m also working on some integrated solutions between Team Foundation Server and Project Server.